The growth spurt in student numbers that Wittenborg has experienced in 2017 seems set to continue right to the end of the year, with a steady growth of around 15% student numbers overall. Yesterday, Wittenborg registrar, Santosh Aryal, said almost 40 new students will start classes next week - double the number of those who commenced their studies in December last year. "In fact, we want to remind prospective students that they can still apply right up to 31 December 2017, as the admissions team will only be 'off-duty' on 25 and 26 December," Aryal said. We are looking forward to the next intake which occurs in February 2018. 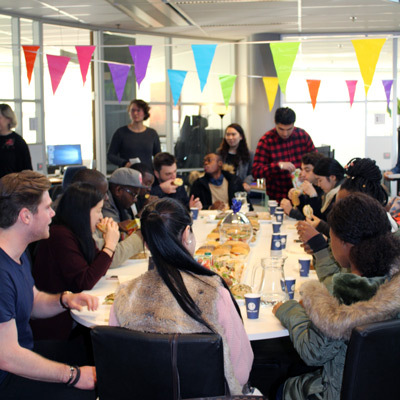 New students had an Introduction Day on Thursday, including a lunch event where they met staff and fellow students. As usual, it was a very international group from at least 22 countries. They hailed from France, South Korea, Vietnam, Italy, Togo, India, the US, the Netherlands, China, Mozambique, Ghana, Iran, Nigeria, Zimbabwe, Kenya, Sudan, Cameroon, Pakistan, Turkey, Sri Lanka, Nepal and Syria. 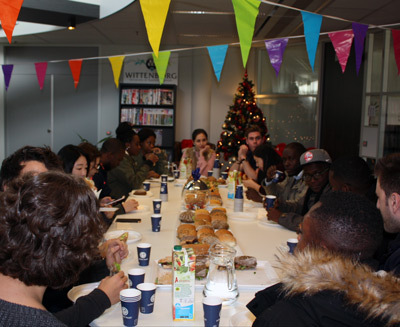 They will study at Wittenborg's locations in Apeldoorn and Amsterdam. Of particular interest is the increase in MBA students this December. While there were no MBA registrations last year in December, this year there are 9, Aryal said. 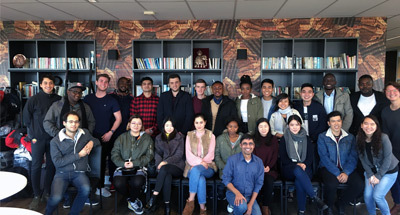 Wittenborg has a rolling entry system for its BA (bachelor's) and MBA (master's) programme, which means that students can enter the programme six times a year, and of course graduate six times a year.